June | 2015 | A Bit of Nutmeg! 1. Mix together coconut oil and milk. Add in vanilla. 2. In a separate bowl combine flour, gum, sugar, baking powder and salt. Add flour mixture and blend well. 3. Add egg whites, beating just until combined. 4. 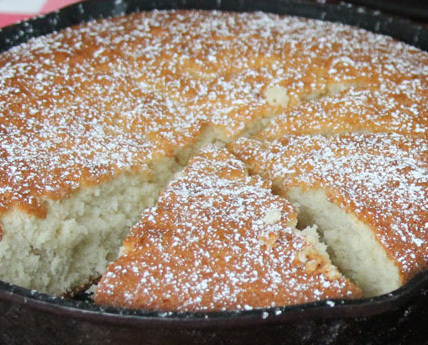 Pour batter into a greased and floured (use a silicone pastry brush to spread out flour) 10 inch cast iron skillet. 5. Bake in a preheated 350 degree oven for 40-45 minutes, using a toothpick inserted in the center to test for doneness. 6. Let cool on wire rack for an hour before serving, lightly dust with powdered sugar, if desired. Preheat oven to 375 degrees F. In a Kitchen-Aid Mixer, beat the coconut oil, sugars, pudding mix, eggs and vanilla until creamy. Gradually add in the flour, gum and baking soda. Beat on low speed until just combined. Stir in the chocolate chips. 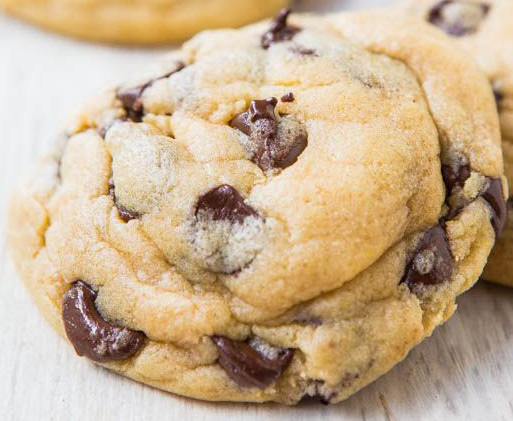 Remove from oven and let cookies cool on cookie sheets set on top of cooling racks.